I came across a channel on YouTube called "Placelogohere." There are currently 126 videos of Astrocade titles, including (mostly, in fact) BASIC games and games/programs that require expansion memory. It looks like someone got the UlltiMulti multicart and a Lil' White Ram and had some fun going through many of the games on that cartridge. These videos were uploaded in September 2017, but hardly anyone has watched these videos. In fact, currently, most videos have less than ten views! None of the videos I watched had any commentary, which is too bad. These videos look pretty good and are worth watching especially if you don't have an Astrocade, because then videos are the only way to view many of these games, since the MAME emulator doesn't support loading tapes. Arcade Golf, by Gambits (Ken Lill). Blue RAM BASIC, 2000-Baud, Requires Expansion RAM. For 16k & 32k Blue Ram Basic 1.1 Extended RAM. 1-4 PLAYERS. 1-4 HAND CONTROLS. No bang-bang shoot-em-ups here. Just your choice of 9 or 18 holes of golf!. Each hole is different -- each and every time!! There are trees, a lake, sand traps and an always changing wind! With the wind gusting up to 25mph, your ball can be blown off its course. Try to break par. It isn't as easy as you might think. Expanded BASIC, 2000-Baud, Extra RAM Required. This is an enhanced version of the AstroBASIC program that was released on Tape 17 in December 1982. Pro Golf, by Henry Sopko. 2000 baud, Blue RAM BASIC (+16K). This is similar to the "Links" games. The "Swing" power/slice box is controlled by to trigger. Let go at just the right time to get the maximum shot. The "right" time is when the moving box is in line with the line on the right side. Everything else is pretty much easy to figure out. FLYING ACE is for 1 to 4 players. Try to gun down the enemy before your time runs out. Get the "feel" of flying a fighter plane. At first everything seems backwards until you get the hang of it, then you'll become a FLYING ACE. Paul Thacker comments, "It's kind of like a strategy Pachinko game--pretty unique. [...] Yes, I definitely interpreted it as lowest score wins." 1-4 players drop blocks through a system of levers. Depending on the positions of the levers, the blocks will either get stuck or fall to the bottom. After a set number of turns, the player who let the fewest number of blocks fall to the bottom wins. A real adventure game with mazes, doors, keys, and 7 different monsters. Can you get all the way to the top room (level 10) in time? Will you trap the terrible two-headed monster or the giant spider or Dracula himself? Find out how you will do when you play Dungeons of Dracula. You are the chain which enters the maze from the left. Your mission is to trap the monster by surrounding him with your chain. You cannot touch anything, including the key, until the monster has been trapped. When you trap the monster, you must grab the key which opens the door on the right to enter the next maze. Time is always running out so you must hurry. As the maze level gets higher it becomes harder to trap the monster in the maze. It may take a smaller box around the monster to trap him. You can go over your own chain to remove it and reposition your trap for the monster. Extra time can be gained by trapping the monster and picking up the key. You cannot go through the door until it is open. You can escape to the previous maze by going out the door on the right. If the monster escapes, you remain at the same level but you lose time and must rebuild your traps. If anyone else finds some videos that they like, then please post direct links to them here. Skip ahead to about 19:40. He played Dragon's Castle for an hour, which is probably more patience than I had. Has anyone actually beaten this? It's good to see someone taking advantage of the program downloads on Bally Alley. Yes, I whole-heatedly agree that it's great to see these BASIC programs being used and played! There are SO many neat programs, games and video art on BallyAlley that have not been investigated by anyone. I'd love to see many more people post photos and videos of what they come across on BallyAlley.com. Maybe we should make a contest for this sort of thing? I had not seen this explosion either. I haven't really explored Put-Put Golf, but the video makes it seem pretty fun. Mike White does love his explosions, doesn't he? Mike uses similar ones in many of his games. Pretty cool. The programmer of this game is unknown, right? I really wish that comments were enabled for "placelogohere's" videos. I'd love to leave some positive feedback. I really need to hop back to collecting BASIC footage. I kind of want to do a historical video about them (ala the Atari ones I've done so far) so the more video I get, the better I imagine. The Atari 8-bit has tons of great BASIC games. Every now and then I get the urge to "review" Compute! book collections for the Atari. One great collection is Compute! 's First Book of Atari Games. Most of the programs in Compute! collections were previously published in the magazine. Sometimes previously published programs were updated for the books. It would be neat to make a video of each game that is include in the "Atari Games" book. When I was growing up in the early-to-mid 1980s, I used to type in BASIC games all of the time on my Commodore 64. The shorter the game, the higher the chances were of me typing it into the computer. Sadly, the shorter then game, then the higher the chance of the game being, to put it politely, a little less than great. Alas, while I love the Atari 8-bit platform, it gets plenty of attention already (uh, in circles such as this, anyway). I prefer to put my time toward Astrocade videos when I get the chance to make them. 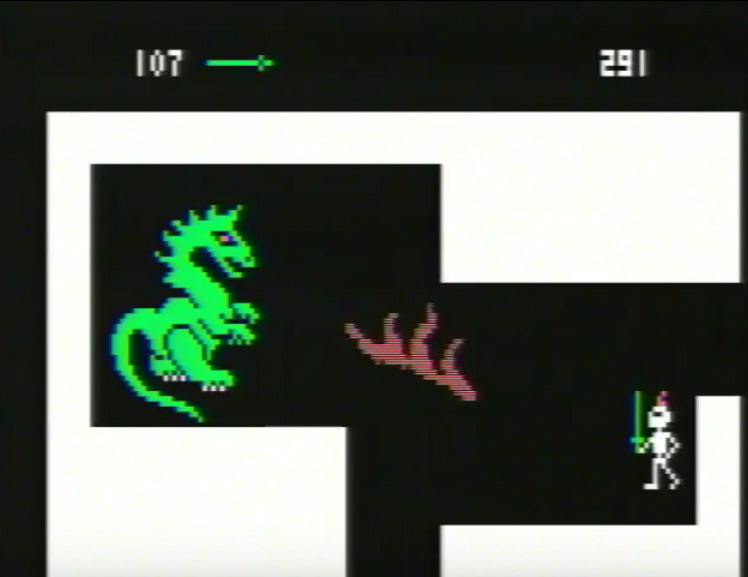 I meant Bally BASIC, not Atari 8bit - my videos have been about specific Atari 2600 games, and I've got one in the works about the Studio II's development. I just meant i wanted to do a dive into the history and breadth of Bally BASIC programs! I just meant i wanted to do a dive into the history and breadth of Bally BASIC programs! Wow-- I look forward to watching those videos! There are certainly many programs to choose from in the Astrocade's BASIC library. Do you have a way to load expansion RAM programs? I've got the white ram but haven't installed it due to the fact my setup makes dealing with a tail on my Bally difficult. Might do for that - we will see how I'm feeling at that point. In fact, currently, most videos have less than ten views! Several of those are from me. There are no instructions for Robot Command, plus the author is unknown. This is a game that few people have heard of before now and even fewer have seen at all. Probably only a handful of people have played it. Thanks for sharing these Astrocade videos, Kevin. They look great! I need to get over my desire to add commentary to my videos and just upload the footage of the 100 or so different Astrocade video art programs that I recorded over the last few months. I figure for BASIC games a nice description in text should be good enough. if it's something that needs a little history lesson then commentary makes sense (like Candyman or something using a RAM expansion) but otherwise if someone really wants to know what the hell is going on in Quadron, the text should be fine.